Imagine having a monster in your shoe. Wardrobe essentials never need be boring, youngsters will love wearing these Toca Boca Happy Socks. 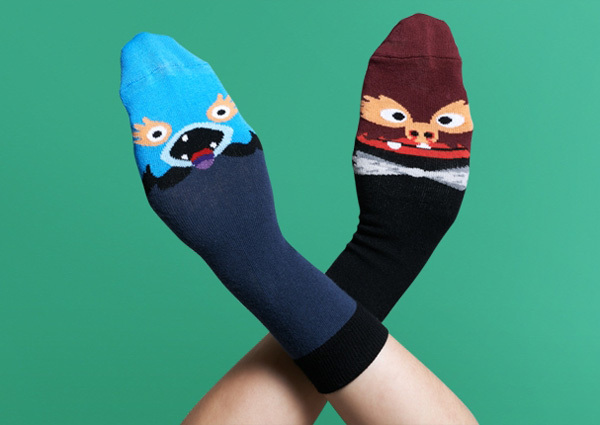 An awesome collaborative project between the crew behind hit apps Toca Boca and the folk who create the happiest of footwear, Sweden’s Happy Socks – Toca Boca Happy Socks star the very cute (and not particularly scary) Toca Boca Kitchen app monsters, Nebula and Gomez. Destined to be a crowd pleaser, these socks are available in sizes to fit children aged two to nine. It’s a shame to keep such monster cuteness hidden away in a shoe, while Toca Boca Happy Socks aren’t on feet, I highly recommend using them as cool hand puppets! 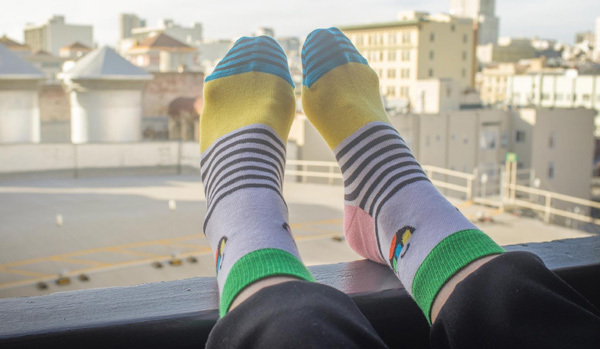 Toca Boca Happy Socks are priced US$15 from the Toca Boca web store.